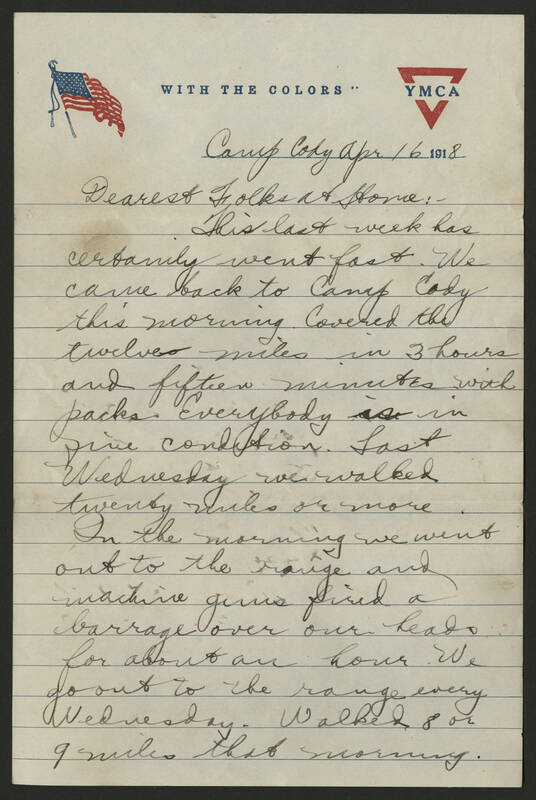 Camp Cody Apr 16 1918 Dearest Folks at Home:- This last week has certainly went fast. We came back to Camp Cody this morning. Covered the twelve miles in 3 hours and fifteen minutes with packs. Everybody is in fine condition. Last Wednesday we walked twenty miles or more. In the morning we went out to the range and machine guns fired a barrage over our heads for about an hour. We go out to the range every Wednesday. Walked 8 or 9 miles that morning.